Made from a 100% Zeta blend harvested in Tokaji AOC (Hungary), the Zeta Sweet Selection 2008 is straw yellow with golden highlights. From the very first nose, the Orvina Zeta Sweet Selection 2008 reveals airy, fruity and gourmand scents of citrus fruits, zest and honey. 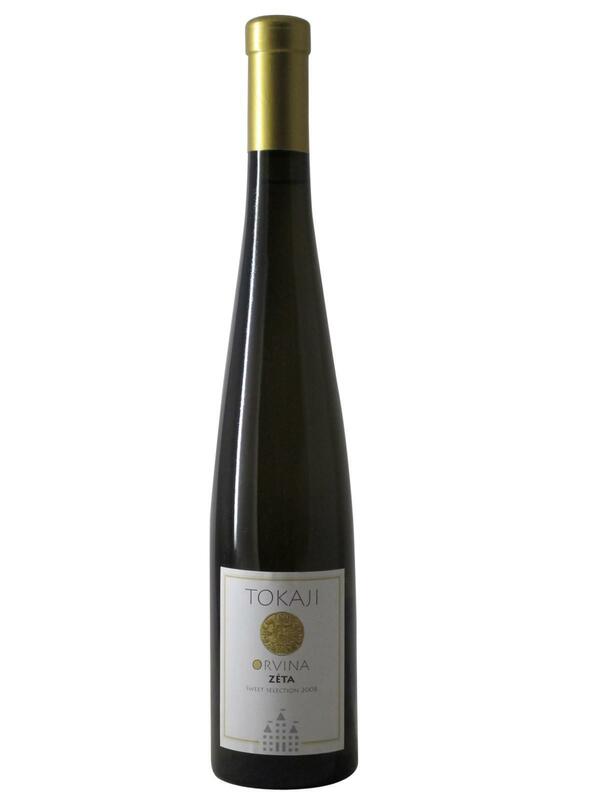 In the mouth, it offers a silky and soft texture, tinged with aromas of yellow and white fruits, candied apricots and sweet honey. Put a little exoticism into your meals by trying one of the best wines in Hungary. Orvina Zeta Sweet Selection 2008 is the perfect accompaniment to hard cheese platters or sweet desserts.